Our Yarmouth location is located on the Royal River. 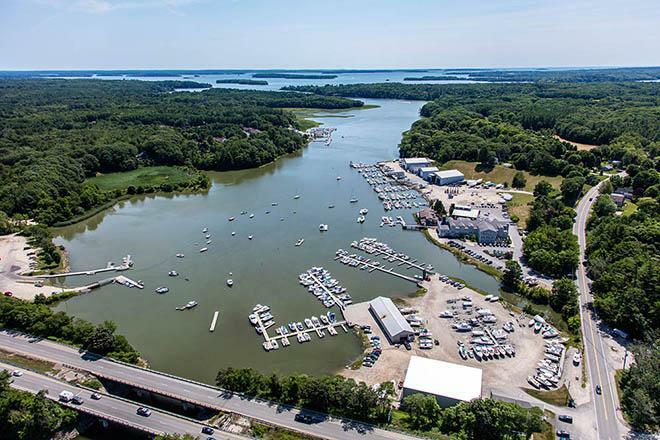 Our full-service marina offers dockside parking, dockhands on staff, free wifi, showers, restrooms and easy access to Casco Bay. You’re only a quick boat ride away from the Dolphin Marina and Restaurant, Chebeague Island Inn, Great Diamond Island, Peaks Island or Downtown Portland. There’s so much to do and see in Casco Bay.